Sue Berger wrote a blogpost today about what you can do to support H.R. 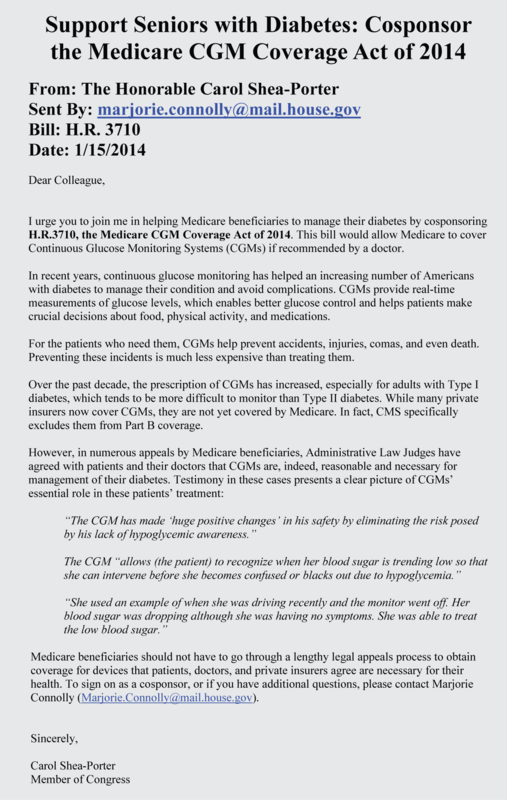 3710: Medicare CGM Coverage Act. Sue has been in contact with the Legal Assistant of Carol Shea-Porter [D-NH1] who is the sponsor of the bill and Sue outlines the steps that Shea-Porter’s assistant would like us to take. Continuous Glucose Monitor System (CGMS) is an invaluable tool in the management of Type 1 diabetes. It reduces the risks of the “dead in bed” syndrome as well as improves overall blood glucose control which in turn helps to reduce the serious and life threatening risks of complications from long term diabetes. PLEASE contact your congressman (via phone or email), asking for support of H.R. 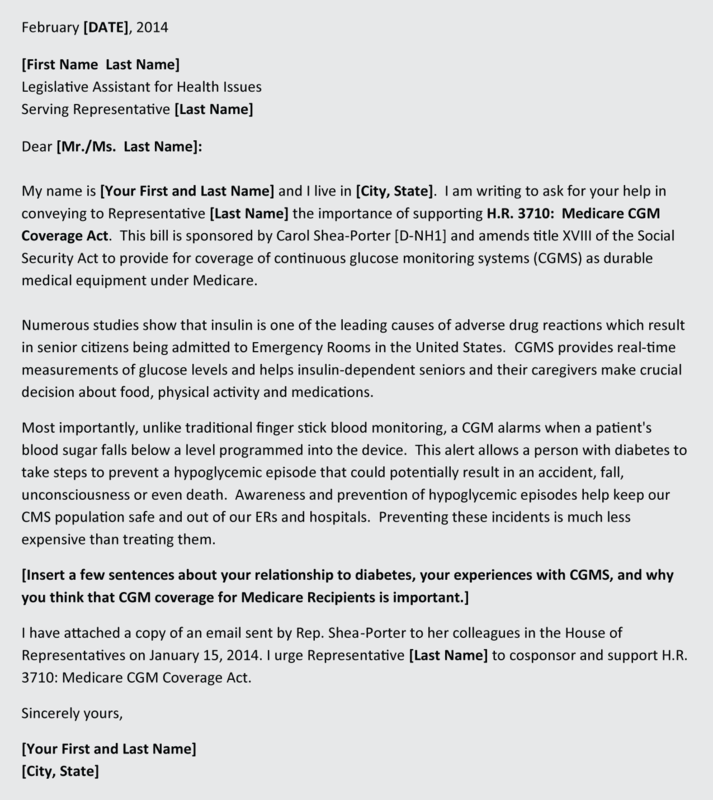 3710: Medicare CGM Coverage Act! Thanks for letting your readers know about this issue. As I get closer to Medicare age, I worry about losing coverage for things like CGMs that have been instrumental in keeping me healthy with Type 1. It’s nice to see the whole diabetes community supporting Sue in her crusade. Thank you for printing my blog and thank you for your comment about CGMS. It is a very valuable tool and very difficult to believe that something that is such a life and death matter has so much resistance from Medicare. I implore anyone reading this to please, please contact your Congressperson and ask them to support H.R. 3710.